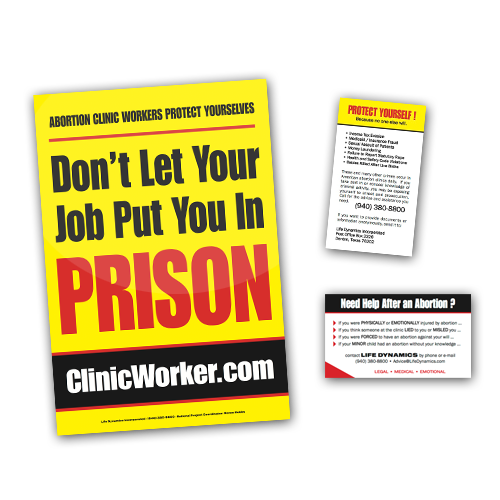 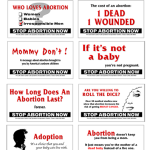 Inject some truth and make people think twice about abortion, with these unique pro-life action cards. 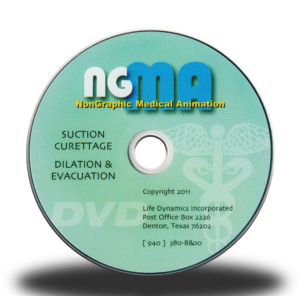 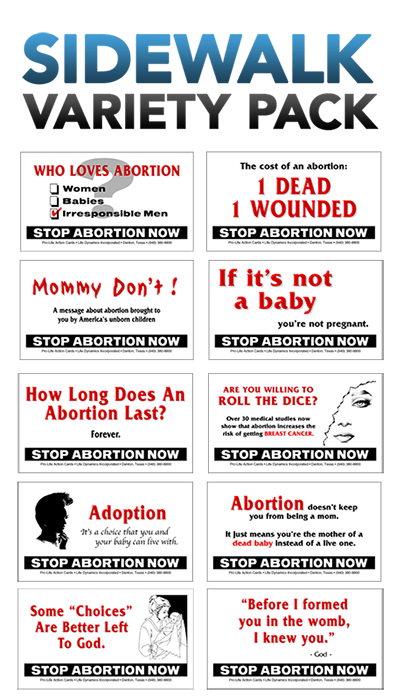 These business-sized cards gives pro-lifers a clear and concise way to call attention to the issue and facts about abortion. 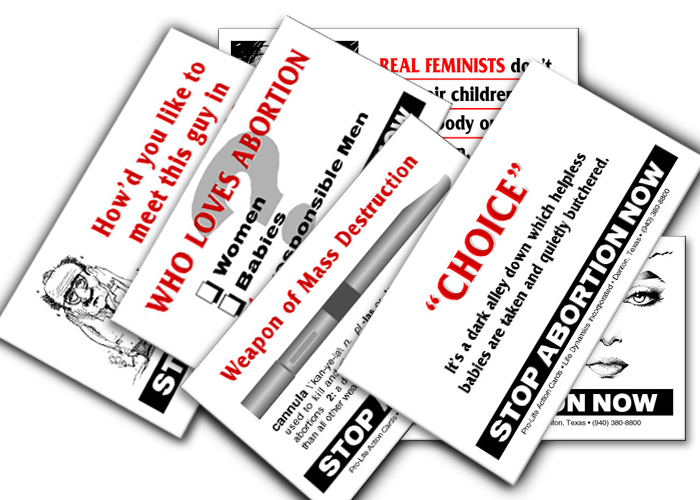 Pro-life action cards help provoke thought and discussion to help win people over to the pro-life side of the issue. 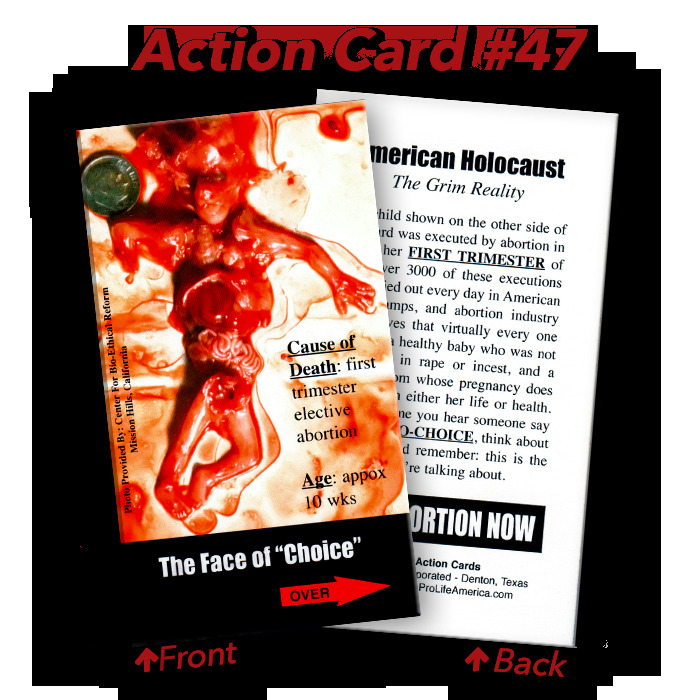 Featuring 47 different designs! 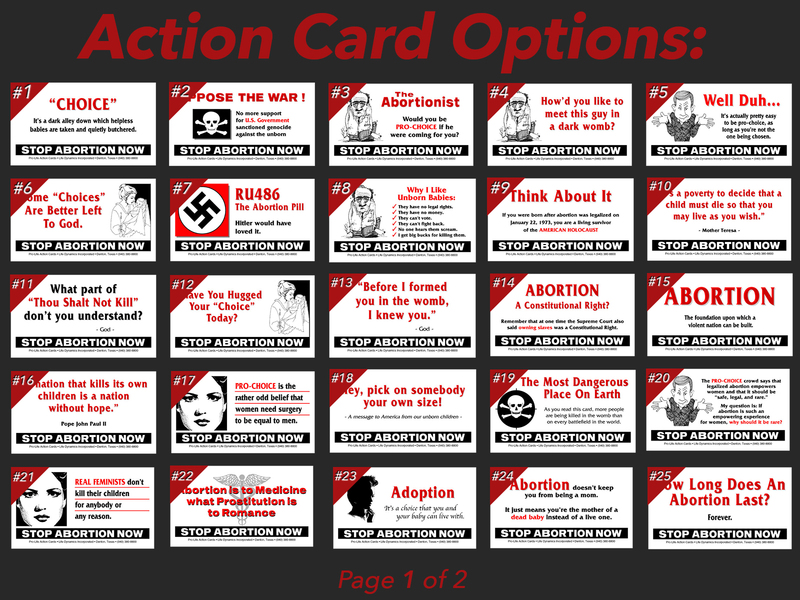 Don’t know which action cards to get? 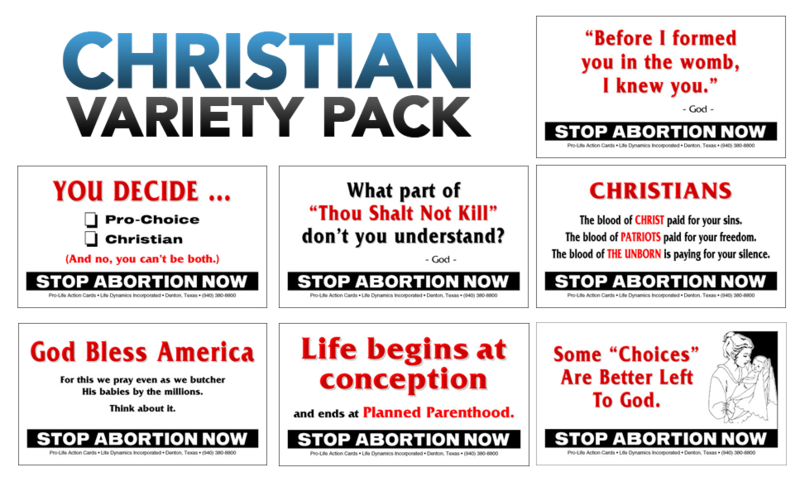 Want a variety? 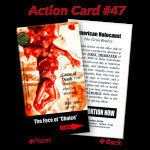 Then order our Variety Pack of 100 cards with all 47 designs. 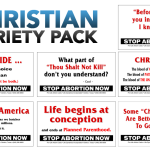 NEW The Christian Action Card Variety Pack includes cards 6, 11, 13, 31, 35, 37, 42. 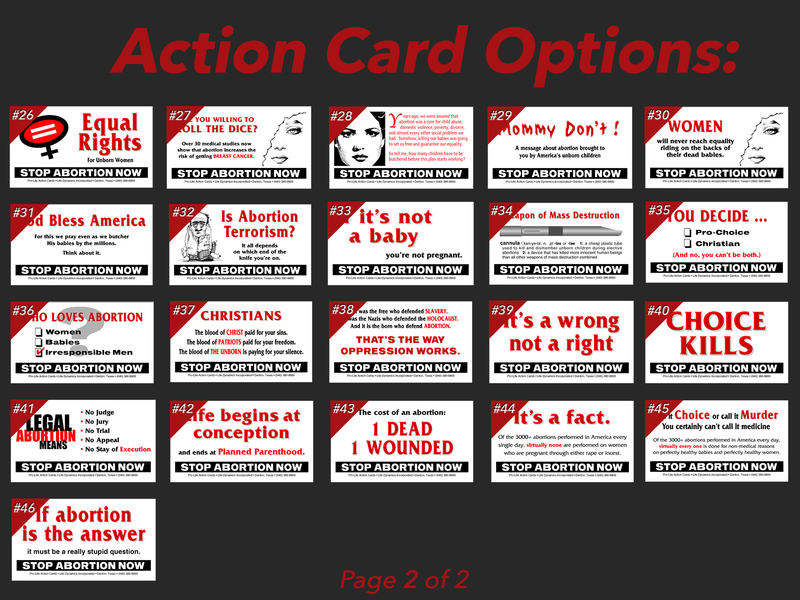 NEW The Sidewalk Action Card Variety Pack includes cards 23, 27, 6, 13, 24, 25, 29, 33, 36, 43. 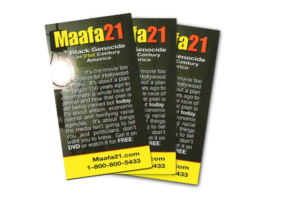 Note: Sold in bundles of 100.